MediRecords is integrated with a variety of secure messaging vendors, and has been designed for you to easily update your practice settings to receive secure messages. Click More and select Settings. 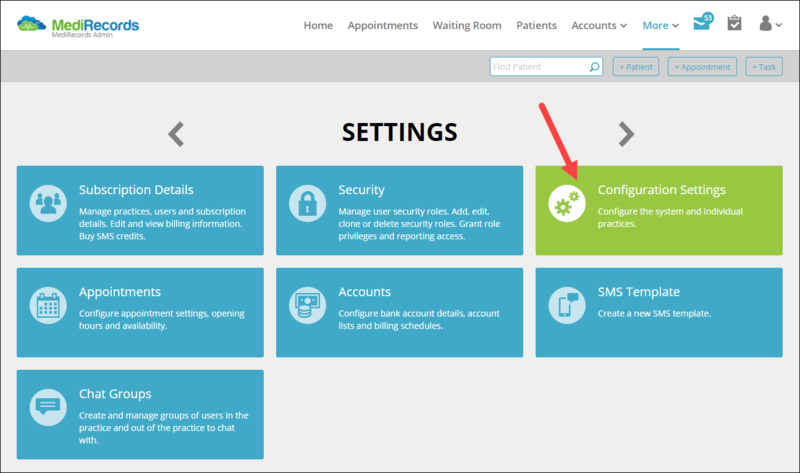 Within Configuration Settings, click on the practice that you wish to configure the secure messaging settings. In this tutorial, we will select MediRecords Admin as an example. You will be brought to the Secure Messaging settings screen for that practice. This tutorial will now focus on instructions for each of the vendors. Select the check box to right of the title Healthlink. 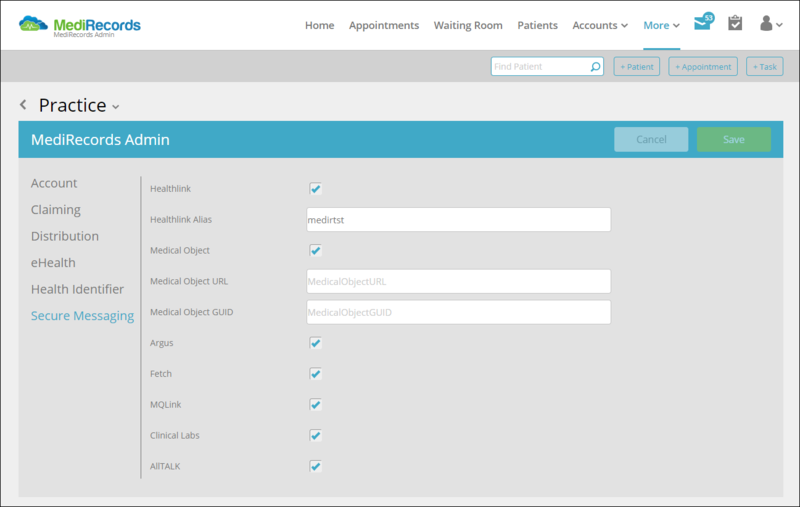 Click Healthlink Alias and enter your alias. Then click Save to apply the changes. 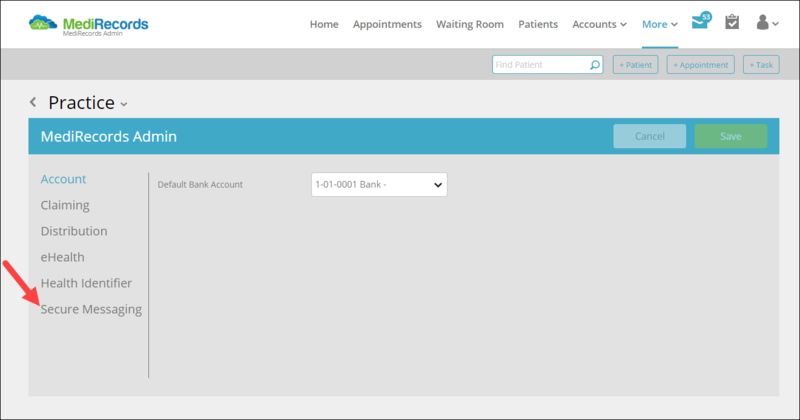 Note: Similar to Healthlink, you will need to contact Medical Objects and receive your GUID. To upload your Medical Objects information, first check the box to the right of Medical Objects. Enter your Medical Object GUID into the Medical Objects GUID field. Contact Medirecords Support via email at support@medirecords.com with your Medical Object URL and GUID and we will proceed in finalising your set up. We will then email you once this has been completed. To receive messages through Fetch, check the box to the right of Fetch. To receive messages through MQLink, check the box to the right of MQLink. To receive messages through Clinical Labs, check the box to the right of Clinical Labs. To receive messages through AllTALK, simply select the check box to the right of AllTALK. You've completed another MediRecords Tutorial. 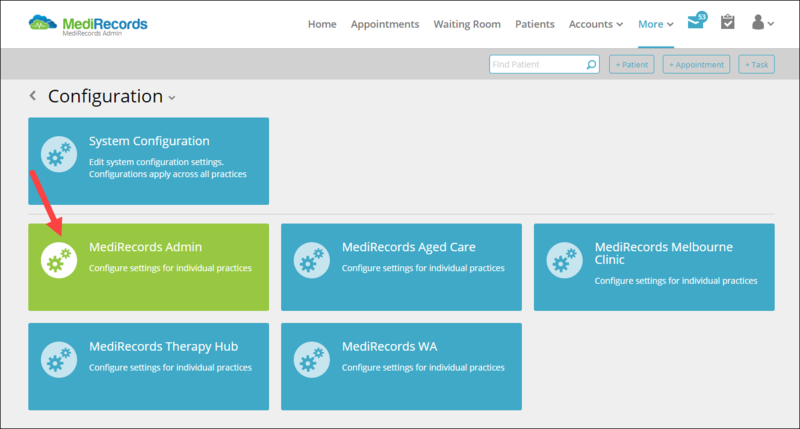 You should now be able to configure your secure messaging settings for your practice(s) with our integrated vendors in MediRecords.